The Izanami Forge in Destiny 2 is now ready to be unlocked by Guardians. All you need to do is complete a few steps to gain access. The Izanami Forge is found on Nessus like Gofannon, though it’s Vex-themed this time around instead of Fallen. So without any further ado, let’s begin with the Unlocking of the Black Armory in Destiny 2. Start with from killing random Vex enemies in the wild to obtain a Vex Transponder. To do so head to the Nessus where Vex spawns very often. Now you must defeat 100 total Vex to charge the Transponder. The best way to do this is head into a Lost Sector called The Orrery in Artifact’s Edge to find plenty of Vex. Once the Transponder is ready and active, you must complete a Heroic Spire Integration public event in the Hallows on Nessus. To do so, your team must activate three plates surrounding the Spire. Simply follow the glowing trails which flows in all three directions. Now get ready to kill approx 20 Vex Minotaurs which can be possible if you still have the ‘Release’ adventure available. Or else start the adventure, kill the beginning Minotaurs, and then restart again. It’s time to move towards the Izanami Forge area and start a quest. The Power Level recommended is 630. If you are not at the required power level then it’s best to bring a friend or two to win. Once you successfully win the quest, the players will receive a broken Izanami Forge Igniter. Take it to Ada-1 and she will request that players complete three heroic public events around the solar system. 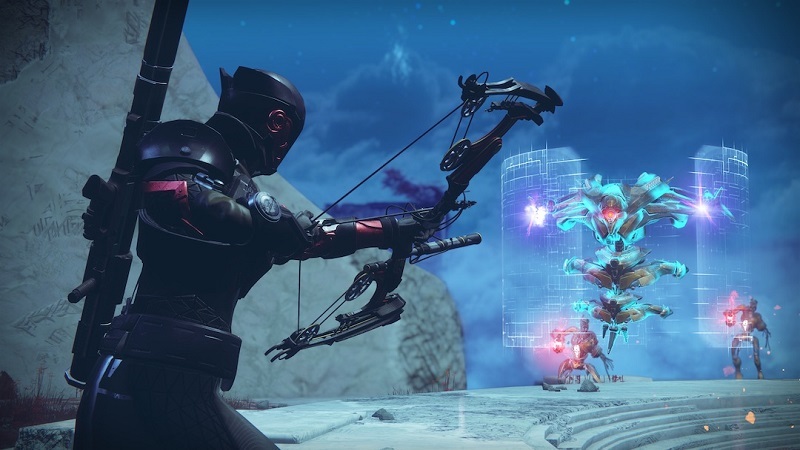 Try EDZ for Glimmer Extraction, Titan for Witches’ Ritual, and Nessus for Spire Integration. Upgrade the Izanami Igniter from ‘Broken’ to ‘Refurbished’ to Blend Ether from Fallen precision multi-kills, Condensed Blights from Taken Blights in Lost Sectors on IO, and Radiolarian Vapor, which can be acquired from the Investigation on Nessus. Complete a Volundr Forge ignition to “repower” the Igniter. Make sure to kill blue enemies to extend the timer. Take the Re-powered Izanami Igniter to Ada-1, where she to complete a harder version of the Insight Terminus strike. Once the fight is over the boss will drop an item that is necessary to fully repair the Igniter. Visit Ada-1 in the Black Armory once more to unlock the Izanami Forge. Let us know if you have any doubts about the steps to unlock Izanami Forge Armor. Also, check our other guides and tricks for Destiny 2 only on Gamer Tweak.